Bedroom renovations are a chance to add a unique look and style to a room. With wooden ceiling, a large window, picturesque fireplace and wall height, the options were endless! Watch how we took a dated spare room and created a soft green glamour filled bedroom fit for any guest on our Reno Recap video. Add some colour to your walls. While the colour scheme in the living areas needs to work cohesively with the rest of the house and most prefer a neutral palette, the bedrooms offer the chance to do something different. But what colour to choose? Start with colours of the clothes you love or a colour that draws you in an art piece or in nature! Make sure you fill in all the gaps! No more gaps is a must when you are renovating, especially if you are painting a old house. After you have primed all your walls and trims fill any gaps around the architraves, skirtings and cornices. Add texture to your interior design. The use of linen fabric within the drapes and the loop pile texture of the carpet adds depth and warmth to the room. There are a lot of strong lines in this room with the ceiling paneling and fireplace surround, so the texture softens those lines. Consider not just the colour of your product selections, but the patterns and texture, without texture your space may feel clinical or cold. 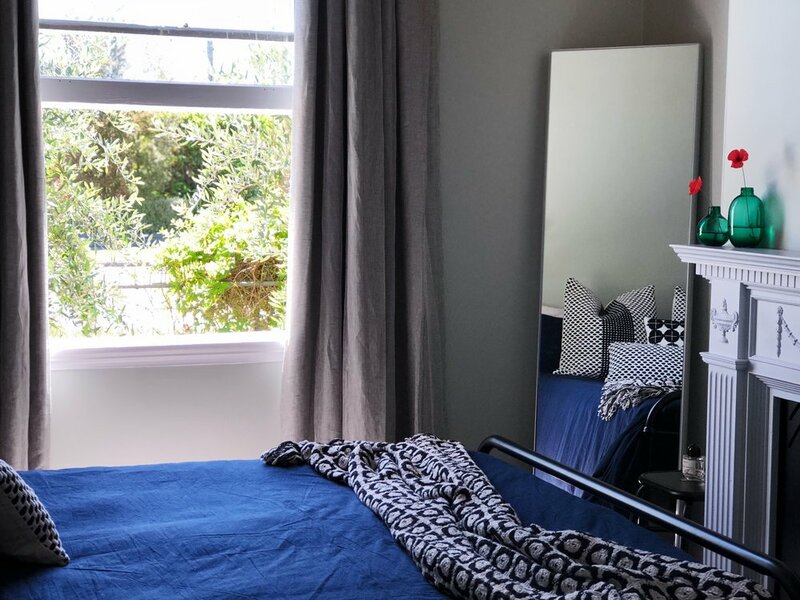 See the image gallery of our guest bedroom renovation with a detailed list of all the products and furnishings within this room, so you can create this look in your own home. This blog was brought to you by New Objects of Desire, or Nood. 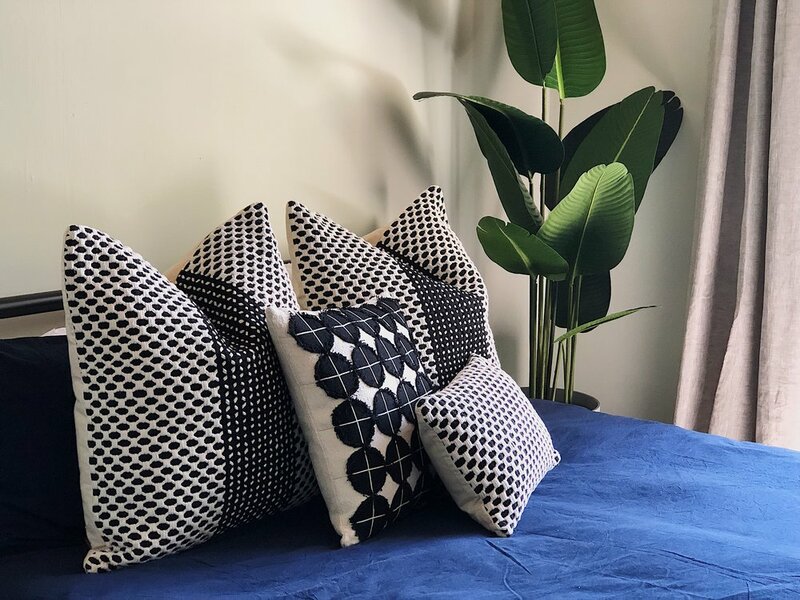 From their replica furniture to on trend homewares and quirky giftware, Nood can offer you just about anything you desire to complete your home.